Zhantai, Jia Zhang-Ke’s sophomore feature and magnum opus, was the second film in his thematically linked ‘Underground Trilogy’ – named so because it was made not sanctioned by the state – on the socio-political dynamisms in post-Cultural Revolution China. It provided a fascinating peek into a closed society where the youth are embracing the so-called Western pop-cultural and lifestyle influences, earning disappointment of the elders and ire of the authorities, thus serving as a critique on the inevitability of change vis-à-vis deep-set conformism and traditional value systems. In a creative choice reminiscent of Angelopoulos’ masterful The Traveling Players, a travelling theatre troupe forms the microcosm for the Chinese youth in general with the corresponding larger picture as its backdrop. Starting in '79 and set mostly in the 80s, the story chronicles how the Fenyang Peasant Culture Group, a team of mostly youngsters from a small province which stages plays extolling Mao and the government, transitions into the All-Star Rock & Breakdance Electronic Band. The lives of Ming-liang (Wang Hong-Wei), a largely impassive young chain-smoking guy, and his friends in the gang, were exquisitely portrayed along with the changes, both small and big, that they imbibe, e.g. choice of attires starting with blue jeans, pop and electronic music, live-in relationships, governance of their band, etc. 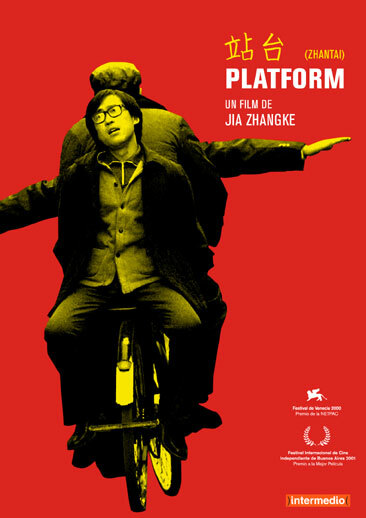 Zhang-Ke used long single takes, and filmed with still or at most slowly swiveling cameras, to paint this richly textured tapestry, the bleak environs, and the small joys and regrets that shape the lives of the various characters, in this leisurely paced, alternately poignant and satirical, allegorical epic. You are at the top of your game here Shubhajit! Beautifully written assessment of this outstanding allegorical work. Some consider it the director's best film. Thanks a lot Sam for the kind words. Yes, this is a complex & layered film, with excellent socio-political commentaries. In fact, as I mentioned in my review, it reminded me a lot of the Angelopoulos masterpiece, The Traveling Players.